As long as I can remember, I have been involved in the sport of fishing. At about the age of six I would ride on my Fathers shoulders in pursuit of small brook trout in the “Brooky Ponds” in the mountains west of Big Piney, Wyoming. My first encounter with fly tying was at about the age of eight. I watched someone tie some flies, I was enthralled, and that started it for me. My first fish on a fly was with one of those flies, a black gnat, I think. I Caught that fish in Island Park at Coffee Pots Rapids. Fly fishing has been a major part of my life for over 50 years. I have been influenced in my pursuit of fly fishing by many of the well-known names in the sport, by reading, media and most importantly by personal relationships with some of the best. I grew up fishing the local waters in northern Utah, the Uintas, and other places around the west. I spent many wonderful days chasing cutthroat found in the middle fork of the Ogden river. 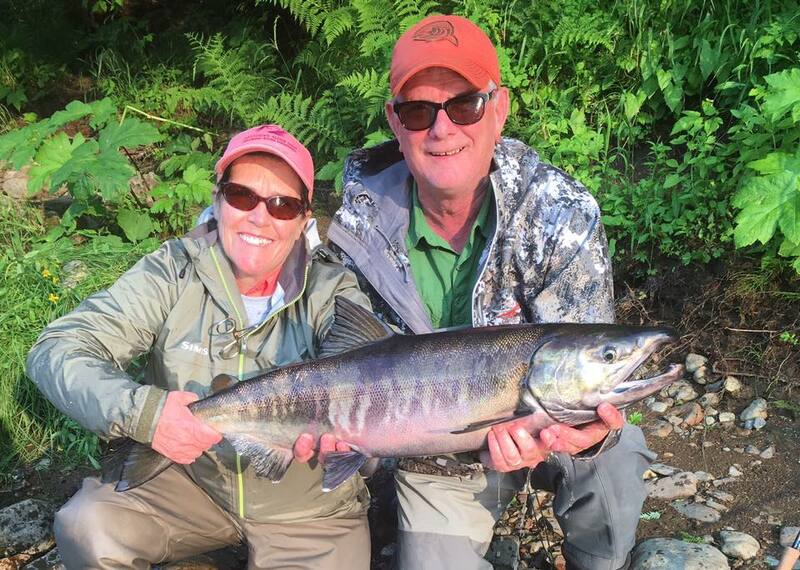 I have had the privilege of chasing fish with a fly from Mexico to Alaska with my most favorite companion, Renae. We have had many amazing trips fishing together, especially at our cabin in Island Park, Idaho. I have had the honor and privilege of sharing the sport of fly fishing with my family, consisting of my wife Renae, our six children and their spouses, and some of our 21 grandchildren. I take great pleasure in sharing the art of fly Tying with anyone who is interested. I have participated in various fly tying Expos around the west for many years. When out on a stream or river I end Up giving away flies to those I meet and try to help in any way I can. This has resulted in friendships developed in many places. I still work full-time (hopefully to cut back soon) as a Chiropractor of 37 Years in Ogden, Utah. It is not unusual to find me in my hide-out in the basement tying flies or taking a patient to the man cave to share a “secret” pattern or help in a few techniques they may not know. I consider myself an average person who is involved with family, church and local events, such as the Weber Basin Trout Unlimited, Wasatch Fly Tying Expo, Eastern Idaho Fly Tying Expo, Stone Fly Society Youth Camp at White Ranch In Cache Valley, and various other fly fishing events.